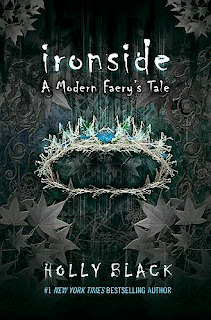 Holly Black's Ironside is the third in her modern faerie tale series. Actually, I hesitate to call it a series, because although it does consist of three books set in the same fictional world, the second book, Valiant, involves different characters (but the ones from the first book do appear peripherally). Ironside is the true sequel to Tithe, focusing on the same characters. Being the crazy stickler that I am when it comes to reading books in order, I would recommend reading them in the order in which they were published, because there is some crossover, and I think I would have missed some subtle points otherwise. Please stop reading here if you don't want spoilers to the plot of Tithe! Anyway, Ironside continues the story of Kaye, who discovered that she was a pixie in the first book and fell in love with Roiben, who is now about to be crowned as ruler of the Unseelie Court. Things are a bit awkward between Kaye and Roiben these days - Kaye is, after all, only a pixie, not a noblewoman of the sort that royalty usually associates with. Having been brought up among humans, she also lacks much knowledge of faerie culture, and is therefore not at all politically savvy. Roiben, having difficulties of his own in accepting his new role in the darker court, is keeping his distance - is he trying to keep her safe, or is he rethinking the wisdom of their relationship? At the coronation, feeling insecure and also having overindulged in faerie wine, she is goaded into requesting the one thing that Roiben, knowing the true meaning of what she asks while Kaye remains clueless, cannot grant. He sends her on an impossible quest instead, which appears doomed to separate them for the rest of their lives. Back in the human world, Kaye goes to visit her mother and feels compelled to reveal the fact that she is not her true daughter - that faeries substituted Kaye for her real daughter years ago. This, of course, complicates matters, so that nothing is the same for Kaye, no matter which world she's in, human or faerie. Each time I read one of Holly Black's modern faerie tales, I'm a bit surprised and how very dark and gritty they are. I was a bit unclear why the dark court was so dark and violent - I think, in my mind, I took some of the conventions from Laurell K. Hamilton's Meredith Gentry series, which are the only books that I've read that examine the Seelie and Unseelie courts in a way that isn't superficial and stereotypical - not simply good vs. bad. I enjoyed seeing what happened to Kaye's friend Corny, who, in the wake of the first novel, was left emotionally scarred. In these novels, no one has easy choices, and each decision can have enormous, disastrous consequences. 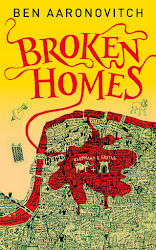 Still, I gladly return to Holly Black's world with each book because the stories are intriguing and unconventional, and the characters are multidimensional and very engaging. I read Tithe a long time ago and although I adored it I never did read the rest of the series. I'll have to do that soon! Do you think you'll reread it before you read the others? Often I find myself in the position where I don't necessarily want to take the time to reread so I can continue a series, but then when I don't reread I feel like I'm not quite getting things because I don't remember things well enough. It can be frustrating! I'll have to do a re-read for sure. I can't remember a thing about the book! 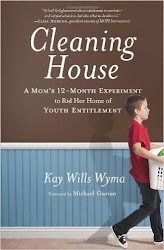 Here's a thought - listen to the audiobook for the reread. I just decided to do that today for Artemis Fowl. I read the first one when it came out and enjoyed it, but now there are a ton in the series, and I can barely remember what happened. So I just checked out the audiobook.